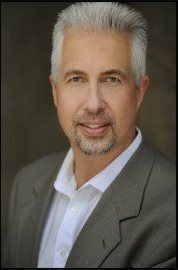 Todd Stofka, CH, HNLP, is a Certified Hypnotherapist and a Master Practitioner of Neuro-Linguistic Psychology. Founder of the Philly Hypnosis Centers, since 2001 has spent transforming smokers into non-smokers, and sports enthusiasts into ace athletes. Whether weight management or lack of confidence is an issue, or a person is facing fear filled phobias, Todd is deftly able to “rewire” the negative thoughts or behaviors and assist his clients in overcoming a wide variety of obstacles. As a former competitive ski racer and sports trainer, he folds these varied disciplines into his Stofka Method to help people reach their personal goals. He is noted for his ability to reach deep into a person’s psyche and touch their core talent and dream, while creating just the right connection to anchor this as a new behavior in their daily life. He is skilled at stimulating his client’s ability to embody the skills used by outstanding performers and experts in the field of aspired excellence. Todd builds rapport easily and he is known for his honest assessment of his clients needs. As a result he has earned a reputation of trust. Mr. Stofka’s, Philly Hypnosis Centers are located in Doylestown, Wayne, and Northeast Philadelphia, Pennsylvania. Cornell University – Management of People Skills Development. Pat Donohue, CH, MNLP, is a Certified Hypnotherapist and a Master Practitioner in Neuro – Linguistic Psychology. Pat is a retiree of the Federal government. During her 37 year career with the Bureau of Alcohol, Tobacco and Firearms, she worked in Philadelphia, her hometown and Washington, DC. She rose through the ranks holding many different management positions from Section Chief to Chief, Technical Services to Training Coordinator to Chief, Revenue Operations Branch. She was always volunteering for whatever training class would further her knowledge of her job and her interpersonal communications. Her passion was to help her employees be the best they could be and advance them within the Bureau. As an Intern and Protege under Todd, Pat observed and directly participated in client sessions and learned first hand The Stofka Method, which they apply to all of their programs. In addition to receiving her Masters in NLP, Pat received Certifications in Pediatric Hypnosis, Rewiring the Brain-Stroke Survivor Rehabilitation, ADD/ADHD, and many more. She specializes in Pain Relief/Management. Pat volunteered once a week for three years at the Pennsylvania State Hospital (Byberry) on a ward where people suffered from schizophrenia. This was to supplement her knowledge while taking psychology courses. She volunteered for four years at a local elementary school in a special needs classroom, which gave her first hand knowledge of children with ADD, ADHD and autism. She is a member of NGH (National Guild of Hypnotists), ABH (American Board of Hypnotists), and NFNLP (National Federation of Neuro-Linguistic Psychology). Pat lives in the Philadelphia area and her son, daughter in law, grandson and new granddaughter live nearby.